Endometrial cancer diagnosis, prevention and treatment can be complicated. Modern medicine developed diagnostic tests and effective methods of treatment which can insure long survival rates. Pelvic examination is frequently normal, especially in the early stages of disease. Changes in the size, shape, or feel of the uterus or surrounding structures may be seen when the disease is more advanced. Stage 1 – The cancer is only in the uterus. 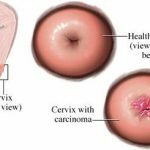 Stage 2 – The cancer is in the uterus and cervix. Stage 3 – The cancer has spread outside of the uterus but not beyond the true pelvis area. Cancer may involve the lymph nodes in the pelvis or near the aorta (the major artery in the abdomen). Stage 4 – The cancer has spread to the inner surface of the bowel, bladder, abdomen, or other organs. 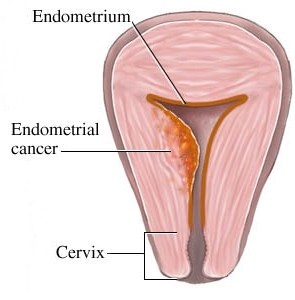 Endometrial cancer treatment options involve surgery, radiation therapy, and chemotherapy. 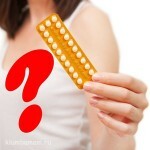 Hormone therapy (progestin hormone) to block cancer growth. 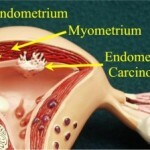 Endometrial cancer complications may include anemia due to blood loss. A perforation (hole) of the uterus may occur during a D&C or endometrial biopsy. 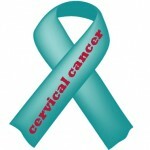 There can also be complications from hysterectomy, radiation, and chemotherapy. 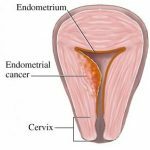 Call for an appointment with your health care provider if you have abnormal vaginal bleeding or any other symptoms of endometrial cancer. This is particularly important if you have any associated risk factors (see above) or if you have not had routine pelvic exams. Women should have Pap tests beginning 3 years after becoming sexually active. There are some measures that can lower your risk for developing endometrial cancer. Eating a diet rich in fruits, vegetables, and fiber. Lowering the amount of animal fats you eat.